A couple of years ago, shortly after I took command of the Florida National Guard, I had the opportunity to address the Fort Mose Historical Society here in St. Augustine. And now, 2 years later, as I consider the contributions African-Americans have made to our country, I think about the men and women, slave and free, who have fought for what’s right in our corner of the world, from Fort Mose to present day. We trace our roots back to the first militia in 1565, and there’s a good chance Africans were part of that militia. Even if they weren’t, we know that Captain Francisco Menendez, an escaped slave from the Carolinas, led the first Fort Mose militia in 1726. His efforts in defending St. Augustine from British attack earned him freedom and appointment as the first Captain of the Free Black Company at Fort Mose in 1738. That appointment carried with it the responsibility of protecting nearly 100 runaway slaves who were promised freedom in Spanish Florida – the very first legally sanctioned free black settlement on our continent! When Fort Mose was later destroyed by the British, the residents lived in St. Augustine, contributing to the prosperity and security of the city for more than a decade while the fort was rebuilt. Today, more than 450 years later, we citizen-soldiers are still rooted in our communities and remain ready to step away from our jobs and families to answer the call to state and nation. Indeed, African-American history is American history. Africans and African-Americans contributed to our nation’s development a full 200 years before it was even founded, and have continued throughout. I’m inspired by the Buffalo Soldiers and the Tuskegee Airmen; Gen. Daniel “Chappie” James and Gen. Colin Powell; and by current all-stars like Lt. Gen. Nadja West and Admiral Michelle Howard. I’m also inspired by members of the Florida National Guard who are making their communities better. People like Captain Melissa Schuster, who keeps the memory of Fort Mose alive in her role as the Secretary for the Fort Mose Historical Society and re-enactor during monthly militia drills and seasonal re-enactments. Her commitment helps educate Florida’s 4th and 6th graders throughout the state about the continent’s first “underground railroad” and the leadership and contributions of Africans to area’s early development. Stories like theirs, and the giants who have gone before, not only inspire me to better myself, but help me see the gifts and abilities in others. 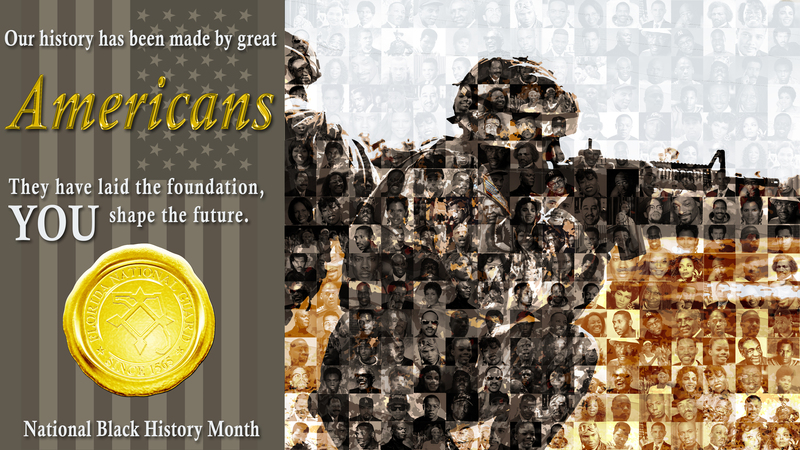 We are a country that relies on the contributions of ALL of its citizens, and take this month to celebrate the contributions of African-Americans.